Total ash is a measure of the mineral oxide content of activated carbon on a weight basis. 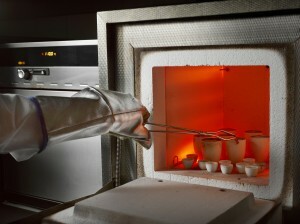 It is measured by converting the mineral constituents to the respective oxides at 800°C. The ash consists mainly of silica and aluminium and the amount is dependent on the base raw material used to produce the product. Typical values are 2-3%W/W for coconut shell based activated carbon, 5%W/W for wood based activated carbon, and 8-15W/W% for coal based activated carbons. Total ash analyses are also a good indicator for the spent carbon quality used in groundwater sanitation or drinking water applications. High ash content can be an indication of calcium, aluminium, manganese or iron deposition on the activated carbon or the presence of sand. DESOTEC Activated Carbon also measures water soluble ash, acid soluble ash, acid soluble iron and the individual ash constituents for certain applications. Acid soluble ash and acid soluble iron are usually measured for acid washed carbons, like ORGANOSORB® 11 and ORGANOSORB® 11-AA, which are used in applications at low pH. 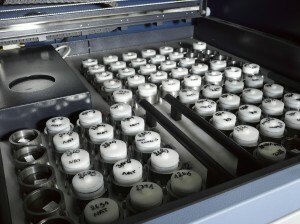 The individual ash constituents are measured for products used in certain catalyst applications, or to determine the quality of spent activated carbon that is returned to DESOTEC for recycling by thermal reactivation. Require more info on DESOTECs spent carbon recycling services? Ask us about it, we’re at your disposal!